UPDATE | February 11th, 11.30pm – Two Hong Kong lawmakers urged the local authorities to ban Bitcoin. The request was made after almost 30 victims of the MyCoin scam complained to the police. “The government should not just stand aside. It’s simply not enough to just ask people to exercise caution when investing. It [the government]has to ban the circulation of such virtual currency in the market”, said Leung Yiu-chung, who is currently helping some of the investors along with fellow lawmaker James To. It looks like the Bitcoin ecosystem has been hit by another Ponzi scheme. 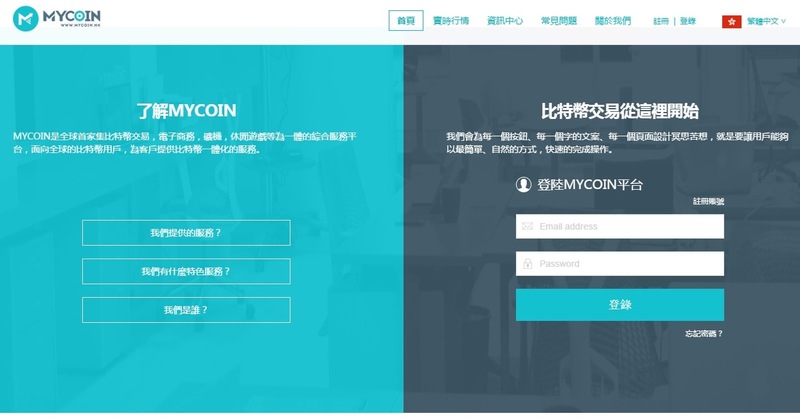 This time suspicion falls on the Hong Kong-based exchange MyCoin. According to more than 3,000 investors the company and its owners have vanished, stealing HK$3 billion – the equivalent to $386.9 million – in the process. A group composed of 30 of MyCoin’s enraged clients recently presented formal complaints to local lawmaker Leung Yiu-Chung, The South China Morning Post (SCMP) reported this Monday (9th). There is now fear amongst the investors, who suspect the company was operating a Ponzi scheme. Although MyCoin has hosted public events at luxury hotels in the past and even a roadshow in Macau in 2014 featuring investment guru Jim Rogers as a guest speaker, nobody seems to know who was running the company. A woman identified as Lau by the Chinese newspaper admitted she lost HK$1.3 million. “No one seems to know who is behind this. Everyone says they, too, are victims (…) but we were told by those at higher tiers [of the scheme]that we can get our money back if we find more new clients,” she said. So far the investors revealed they were enticed by the company with promises of a a HK$1 million return in just four months for buying a BTC contract worth HK$400,000. According to the promises made by MyCoin, the contracts would generate 90 BTC on maturity. The company also promised bonus like extra profits and cars, but only if the clients were able to attract new investors. This should have been the first sign of alarm. However the victims have also revealed that they never received any official document or receipt after paying the initial contract fee to MyCoin. The online trading accounts created and managed by the exchange are the only evidence of a connection between the company and the investors. “We are a bit worried that the police will refuse to handle the cases because there are no written records,” said Leung Yiu-Chung. In the meantime, the lawmaker admitted he will request a meeting with the Monetary Authority to demand the further regulation of Bitcoin trading in Hong Kong. Leung claims the local cryptocurrency ecosystem has operated with little or no supervision so far. Still, Chan was “lucky”. One of the victims was said to have lost HK$50 million. Others even mortgaged their houses and properties to get funds to invest in the scheme. The SCMP reports that, like Chan, most of the MyCoin clients were talked into buying contracts by professionals like real estate agents, law firm clerks or insurance agents. The second sign of alarm echoed a couple of months ago. In December, the company suddenly announced it was changing its trading rules: investors could only cash in all their cryptocurrency if they were able to find new clients. Also, the clients who were able to withdraw some of their digital coins didn’t receive the full Bitcoin price at the time. The company announced in January that it would be renovating its offices in Tsim Sha Tsui. Since then the front door has been blocked. Now there’s little faith that MyCoin will ever reopen again, despite the fact that its website is still online. Several media outlets like CNBC have tried to contact MyCoin but the company has ignored all requests so far. The bad news about MyCoin was made public this Monday (9th), at a time when the cryptocurrency ecosystem is apparently starting to recover from the low prices registered at the beginning of 2015.